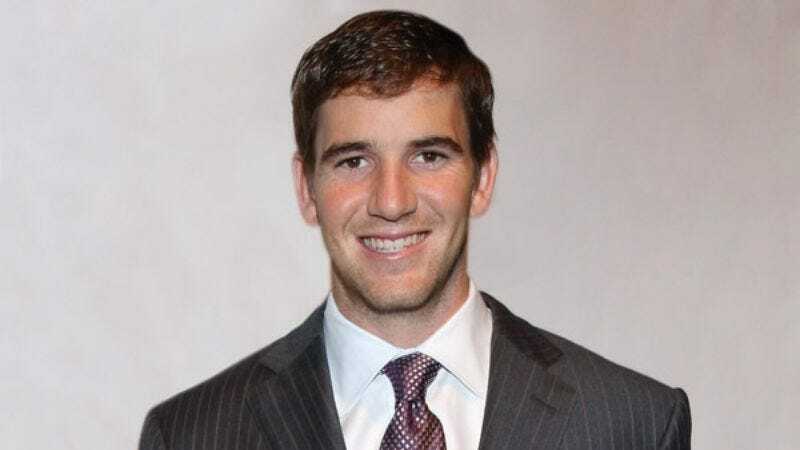 INDIANAPOLIS—Clapping randomly as he struggled to follow the action on the field, a confused Eli Manning attempted to cheer for his older brother Peyton in the AFC Championship Sunday, barely comprehending the most basic elements of the game. "Which one is Peyton? Is he the one kicking the ball?" said Manning, the Giants quarterback and Super Bowl XLII MVP. "Are the numbers on the shirts always the same? Wait, is that Peyton's team? He stopped running by that side area, but there's nobody there and now he's sitting down. Come on! Throw it to the guy in the striped shirt, Peyton." Eyewitnesses reported that Manning became very excited and shouted, "Go, go, go, touchdown!" while the grounds crew worked on the field during halftime.